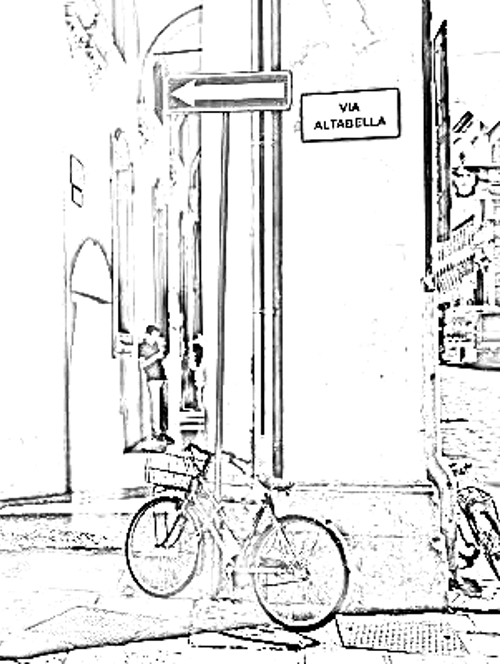 You are here: Home / News from Madrelingua Italian Language School / First day of school! Aga is taking an Italian course at Madrelingua Italian Language School in Bologna, and was happy to be interviewed about her experiences and to answer all my questions! Most of all, I wanted to mix doing something useful in life with having fun in a friendly atmosphere. Madrelingua gives me this possibility and I decided to take the opportunity to spend 3 months in Bologna studying Italian. My first doubt was: I’m not so good at Italian, will I be able to follow the teacher in the class? “Don’t worry, Aga – I thought – you don’t need to speak good Italian, you will learn it at the school…That was my purpose! The first day was quite a ”shock”, though. I wasn’t prepared to speak Italian from the beginning. So, it was difficult for you to start the course directly in Italian…tell us more. When I started my Italian classes, at the beginning I didn’t know what to expect. But when I went to school, I borrowed a book and I met my classmates. They were so nice, and it wasn’t a problem to become part of the existing group. The teachers only speak in Italian, so maybe at the beginning I thought that it would be hard to participate in the lessons. But then, after the first 10 minutes, you can feel that you don’t have to be scared about speaking. You are here to learn Italian, and that’s the main point. Could you tell us exactly what have you done in your class so far? The atmosphere is really friendly and you learn new words fast. For my group, almost beginners, there were a lot of games to learn vocabulary and also to stop us being afraid of speaking. Normally speaking in English or other languages is not allowed. Only Italian! Let’s talk about your routine at Madrelingua. In the mornings I have 2 hours of Italian grammar and then everyone, students and teachers together, take a coffe break, so we go to a bar. It’s a good time to meet up with all the students of the school, drink something together, and relax before the second part of morning. After this small pause, I have conversation classes, when we speak all the time. In my italian A1 class, I was with one English girl, one Russian-Israeli girl, and some people who just wanted see how the school worked before they decided to start classes. Do you speak in Italian after school? If so, why? After the first week I tried to speak only Italian with my classmates, even after school. I think that if you decide to study Italian in Italy, you have to be motivated to improve your language skills. The great thing is that we are all in small groups, so everybody can practise speaking Italian. After the first day, and 3 or 4 hours in the school, everyone is already motivated to learn Italian. In the afternoons the school and the teachers often organize a tour or maybe lunch together. As well as being encouraged to speak Italian at school, I now have some friends that I only speak Italian with. Some of them are Italians, but others are foreigners who speak really good Italian. So, have you made much progress? When I came to my first Italian lesson, I didn’t know what to expect. But after the first part of the lesson I already felt better because I knew that I would be speaking Italian after a few classes. In 2 weeks I had already moved up to level A2. Had you studied Italian before, and if so with the same method? When I was thinking of coming to Bologna I started to learn Italian at my university in Cracow. But as everyone knows, at university when we have 1,5 hours of lessons a week, it’s not possible to learn a lot, especially in a big group. Unlike at my school in Poland, here in Bologna we are in small groups, and we only speak Italian. Why, in your opinion, do they use this method? Is it an effective way to improve your Italian? I attended a French school in Poland and they used the same method of teaching. In my opinion it’s the best way to start thinking in another language. It’s obvious that if you are here in Bologna, with Italian people, the Italian language is everywhere. Even when you’re not actively focusing on listening to Italian, your brain is getting used to hearing it. Have you studied Italian? What was your first day of school like? Leave a comment on this post and let us know! Hello everyone, Hello Madrelingua !! I am from Argentina, so as you know I speak Spanish. I am not to good writing in English so if I make mistakes I apologize . I have learned Italian in my country and I am taking classes now because I don’t want to dimenticare the language , my father and my mother are Italian and I feel that I was born in a wrong country…. I would love to take courses in Bologna with really good Italian teachers, so in that way I will be able to improve my Italian !!! Than you for keeping me in your post ! And thank you for your comment, Maria. Your English is great!! We hope to see you in Bologna one day.